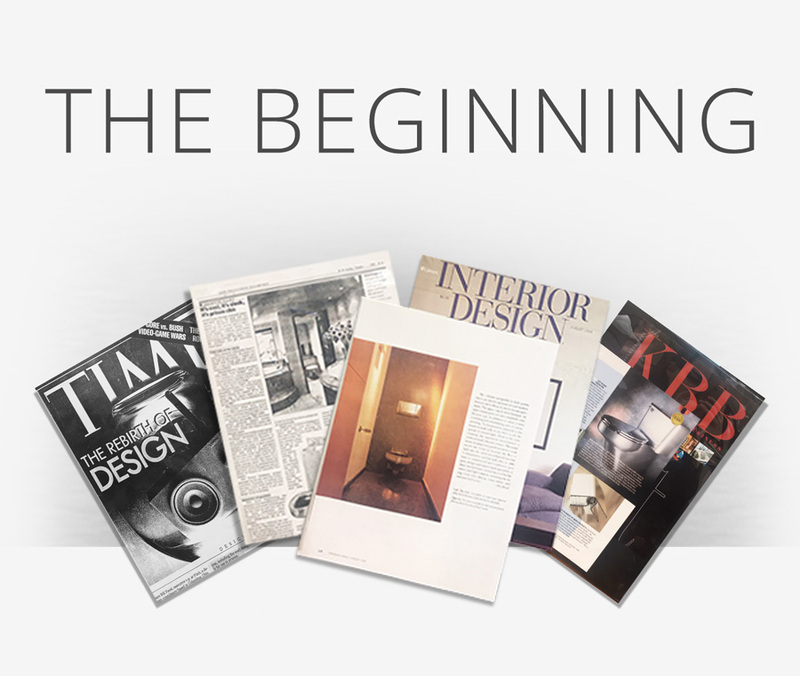 Neo-Metro’s story began in 1998 when a call from The Wall Street Journal not only prompted a conversation, but, also led to developing a new company devoted to modern fixtures and furnishings for the bath. The journalist had called parent company, Acorn Engineering, inquiring about a trend in residential bathroom design, known as “industrial” or “prison” chic. Taking cues from designs used in institutionalized and restaurant settings, home owners were looking to materials such as oxidized metals, stainless steel, industrial shelving and commercial appliances from restaurants and hotels and applying them in innovative ways around the home. Acorn Engineering had been manufacturing and fabricating industrial grade stainless steel plumbing fixtures since 1954. The company’s expertise meant that the brand’s high-quality products were regularly specified for projects, including correctional facilities, institutions, and high-traffic properties in need of protection from destruction and vandalizing. The idea that commercial strength and nearly impenetrable stainless steel fixtures could be a popular home design trend was not only surprising to us, but was something we simply did not know how to respond. Luckily for us, the journalist phoned back and again inquired about this unusual trend in home design. What we thought might have been a joke, most certainly was not. 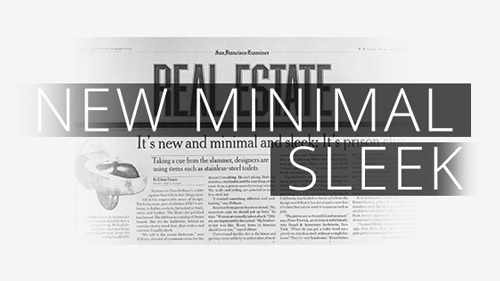 The reporter had spoken with several designers and homeowners who mentioned that stainless steel was an ideal material as it promoted a minimalist and modern aesthetic. In addition to being chic and elegant, stainless steel performs well and is easy to maintain, further making it a natural fit for a home environment. Thus, a virtually indestructible and utilitarian product found in institutions, was now re-imagined as a viable resource for residential use. 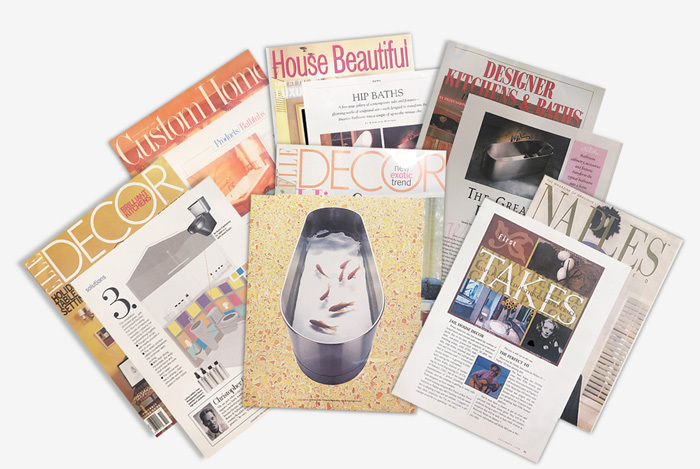 After The Wall Street Journal story ran, Acorn Engineering received countless calls asking about products discussed in the article. Homeowners were keen to adapt the trend but we were unsure as how to proceed. Did people not understand that these toilets were designed for complex, precision commercial systems suitable for prisons and would require care and additional time for installation? Regardless, homeowners were more than happy to make these adjustments and enlist contractors and plumbers to bring products into their homes. That is when the idea came to us: what if we made the required adjustments to the products? After all, we had the engineering and manufacturing expertise. We started designing and manufacturing a line of stainless steel fixtures that met both residential and commercial plumbing standards, while still maintaining the sought-after minimalist aesthetic. To test the new line, we packed up our newly designed stainless steel sink and toilet and in 1999 headed to the Kitchen and Bath Show in Chicago, the industry’s largest and most established show of its kind. It turned out that The Wall Street Journal and many subsequent articles in home design and architecture publications were right: stainless steel was in demand. Now, we needed a new name. Acorn Engineering was well established and trusted in the commercial and correctional institutional markets. We wanted to retain this segment as a key component of our business, but realized that in order to avoid confusion among existing customers and specifiers, a new name had to be developed. We looked to the materials and fixtures as a source of inspiration. The aesthetic could best be described as a blend of utilitarian and purist design, combined with high-quality and innovative manufacturing. The name Neo- seemed apt influenced from the Bauhaus movement and Metro for urban and universal appeal. Thus, the name Neo-Metro was coined and a new company and industry was born. 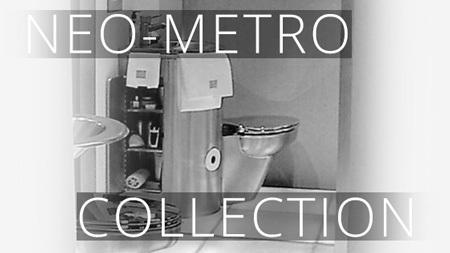 Initially, Neo-Metro started with only the toilet fixtures and WCs for the home bath. 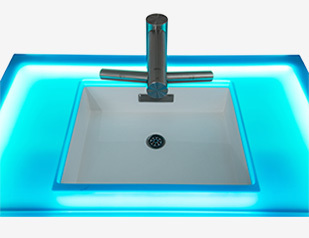 As the brand’s popularity grew, wash basins were added, giving homeowners a way to have a cohesive look. We began exhibiting at major home design and building shows, and learned more about how architects and designers specify products and design spaces. We devised ways to showcase our products in a more architectural and comprehensive fashion, showing basins and developing specialized consoles to better present them. This led to more thoughts and research and eventually to re-thinking choices for materials, shape and color beyond the original stainless steel offering and looking to cast resin as an option for its strength and flexibility. To create a viable prototype, we approached a local mannequin manufacturer who would produce our first custom countertop. The product was modern and exceptional in looks, conforming to our aesthetic, and minimal and durable in performance. 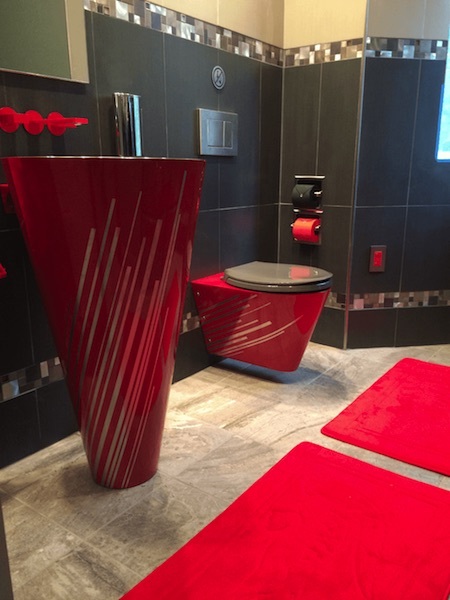 We soon began showing – basins, toilets and baths, and countertops to complement the other products. Neo-Metro products remain popular with residential designers and homeowners but have grown exceptionally within the hospitality market. Restauranteurs need vandal resistant products that also meet their décor aesthetic and hotels want high-performing products that fulfill the contemporary and luxury environments sought out by guests. 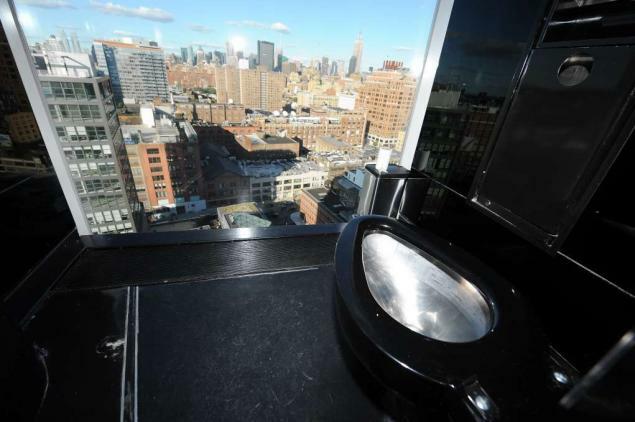 Additionally, commercial property owners want to put as much thought and consideration into restrooms as the rest of their buildings, whose tenants and visitors represent major corporations, banks, legal firms, agencies and tech and digital startups. For those clients seeking the durability of stainless steel but not necessarily the look, we offer powder coating as an option. 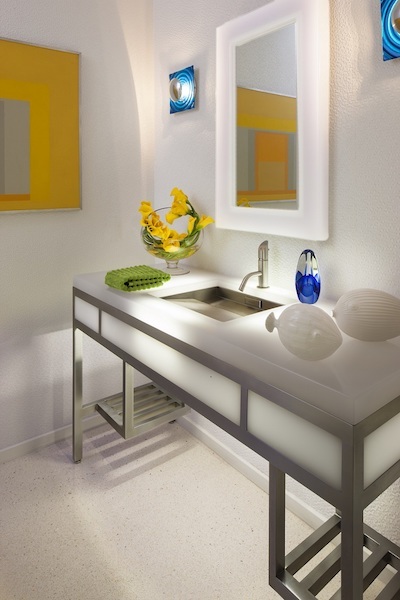 We can color match a designer’s palette or any color to create a unique customized fixture that can blend into the environment. There is no limit on possibilities. Commercial building clients remain our fastest growing market segment. A key point of differentiation in specifying Neo-Metro products is that we are the sole source of development, manufacturing as well as finishing. This means that upon arrival, products are ready to be installed by the plumbing contractor, with no additional on-site fabrication needed to prepare connections. This not only makes for savings of time and expediency, but also labor costs and prep time. Further, to expedite the process for the plumbing contract and assure affordability for the building owner, Neo-Metro offers “plumbing solutions,” which reinforces the above and also negates the need to hire additional tradespeople on site to complete the job, saving time and money. These new commercial clients had unique needs when it came to the selection of bathroom fixtures. The cost of labor is a significant line item in any major construction project, whether it's new construction or a renovation project. To make things easy for the plumbing contractor, and more affordable for the building owner, we provide "plumbing solutions". Once they arrive on-site, the plumber needs only make the connections to the piping, they do not need to fabricate on-site. Not only does this save time and labor required, but it eliminates the need for specialty tradespeople to be on hand. But still, some designers really like those prison combys. In fact, The Standard in NYC, a hotel chain known for chick and gutsy design, had us make custom combys for their famous Boom Boom Room bathrooms visible from the High Line walking trail. We are thrilled to celebrate 20 years as Neo-Metro in 2018. We have evolved from a brand that produces one product to something that, like our parent company Acorn Engineering, is a trusted source for architects, designers, builders, property and even home owners all over the United States and the world. Neo-Metro is a California grown company, and we manufacture our products right here in North America. We can create a custom design to fit any decor. If you can dream it, we can make it, in just about any size, shape (keeping in mind we cannot change the laws of physics) and color you desire. Our fixtures and furnishings can be found in upscale residences of celebrities/athletes and artists, leading restaurants and hotels as well as major-name corporate offices, world-renowned museums and educational facilities, stadiums, theatres and countless other properties. We are grateful for the last two decades and appreciate the steadfast support of architects, designers, contractors, plumbers, builders and consumers and are poised for what we hope is equally exciting in the next years to come. Click here to see Neo-Metro in the media! © 2019 Neo-Metro, Inc. All Rights Reserved.